You kick it right back to the scripts and people. It's a very different collection of professionals who all are proud of what they do. They work hard every day, and we like coming to work, and we like each other. Obviously, the NCIS team works hard every day, and for a lot longer than most TV programs, as the show generally shoots way more than the typical 22 episodes that equal the regular network order for a show. For the last several seasons, NCIS has shot 24 episodes a year, with one year even getting 25 episodes. If anyone knows how grueling the TV schedule can be—with plenty of time in makeup and early and late call times during the season—this is actually a huge feat. It’s also a testament to how hard the behind-the-scenes crew has to work, and Mark Harmon is clearly not the type of person who is going to take all of the credit for himself when talking to Entertainment Tonight. Still, the actor is a pretty key component on the series. 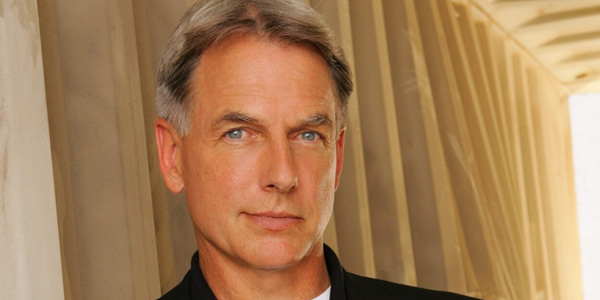 A few years back, Mark Harmon’s overall deal with CBS was coming up. His contract needed to be rewritten and you can bet your bottom dollar that he knew his monetary value in relation to the show. Luckily, he was able to work out a new overall deal with CBS, and things on NCIS have gone pretty smoothly since, with the exception of losing the occasional well-liked cast member. While NCIS has changed cast members over the years, and will be losing Michael Weatherly coming up, the show has a core group of main players that fans have really invested in, including Mark Harmon, Pauley Perrette's Abby and David McCallum’s “Ducky.” Having a core group of cast members that don’t cycle out has been a boon to other long-running procedurals, including Criminal Minds and Bones, so it’s not a huge shock that it has worked for NCIS, as well, but it’s still a reminder that it takes a lot of work, a little luck and the right people to create a TV show that will last for more than a decade. Mark Harmon also says that he and the cast love the gig, which also has to help with the grind of showing up to work every day. I've said often, there's nothing wrong with loving your job, and there's a lot to love here. For the special 300th episode, NCIS is bringing in special guest star Taye Diggs for an episode with musical components. That episode is expected to hit the schedule on Tuesday, March 15 on CBS. You can find out more about what’s coming up with our midseason premiere schedule.